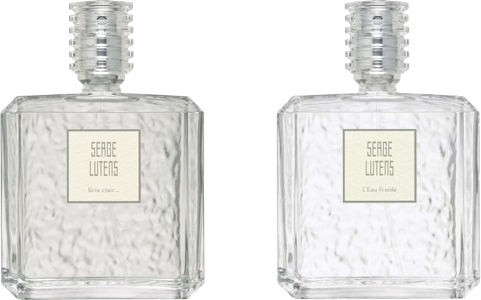 It is the pretty name Serge Lutens chose with his usual intuition for his latest collection and it must be recognized that it corresponds entirely to our desires of the moment! Fragrances that whisper at the surface of the skin and are not “thundering”. Rather intimate, which does not exclude tenacity. With this all-Asian refinement where you don’t invade the other with his perfume! Uncommon, the Eaux de politesse (100 ml, €120 each) explore new olfactory territories, such as wormwood, aerial lemon blossoms, straw or the icy facet of incense. The collection includes six enchanting fragrances: L’Eau de Paille, L’Eau Froide, Fleurs de Citronnier (completely reworked), L’Eau d’Armoise, Gris Clair, Santal Blanc. In a new hammered glass bottle as pure and transparent as the liquid it contains. To discover in Serge Lutens’ new Parisian boutique. 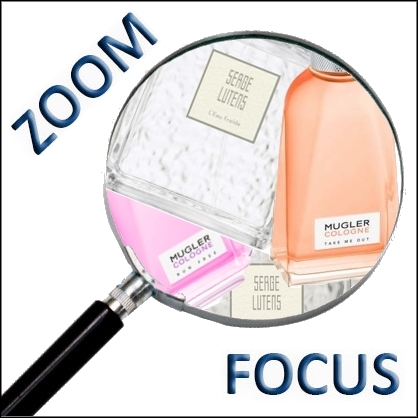 After Jo Malone (inventor of the “fragrance combining™”), Mugler Cologne (eau de toilette 100 ml, €60) is a range where everything blends according to the desires and moods of the moment. A Cologne, a colour, a sensation, but always unusual ingredients. Looking for an energy boost? It is found in the orange bottle (Take Me Out), a floral Cologne where orange blossom and shiso leaf reign. Need to fly away? The secret lies behind this intriguing yellow colour (Fly Away), dominated by yellow grapefruit and a hemp accord. For love in the bottle, you need the blue flask (Love You All), an amber Cologne, with an unexpected blue liquorice accord. And if you want to live without tomorrow, then turn to the purple bottle (Run Free), a woody Cologne where purple ginger dominates in majesty. 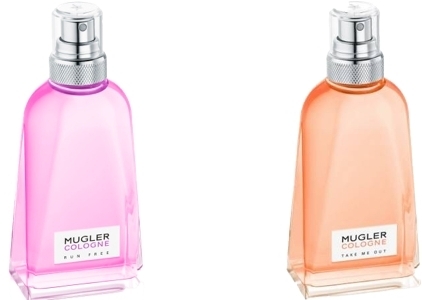 Mugler’s four new Cologne wines are the result of the original Cologne (Come Together), the first perfume designed by Mr. Mugler for himself, during a trip to Morocco where he was submerged by a sparkling smell, that of clean and fresh mixed with the sweat of a skin that had been too hot. Characterized by the disturbing union of extreme freshness and organic sensuality - that famous subversive and carnal “S” note - this heady Cologne showed a different path, outside the codes of classic perfumery. Inspired by lithotherapy, Biotherm’s Eau Fusion (50 ml, €23, from April 22nd) is the first fragrant water composed of 100% natural green tourmaline powder (a mineral known for its regenerating properties) and natural essences of sour citrus fruits. Echoing the resurgent interest in stones and crystals with energizing powers, this new olfactory experience creates an obvious feeling of well-being.